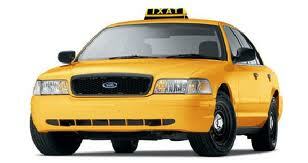 Palmdale Taxi is pleased to offer discounted flat-rate fares for pre-ordered trips of ten miles or more. This offer is available in Palmdale, Littlerock, Pearblossom, Llano and Lake Los Angeles ONLY. *Note - Subject to availability. (Determined by the number of vehicles working and the amount of requests at the time of your call.) We will make every effort to ensure your accommodations. Please call (661) 526-7277 with inquiries or to order.